There are many reasons that a parent with visitation or custody of a minor child may desire to relocate their residence and take the child with them. In today’s economy, many parents are losing their jobs and are relocating due to a better job offer or in order to find more lucrative employment opportunities which may not be available to them in the county or state in which they presently reside. Often parents re-marry and their spouse has employment in another jurisdiction or maybe a parent simply wants to relocate in order to be closer to other family members for support. Obviously, when one parent who has custody or visitation with a child wants to relocate to another jurisdiction, there is an opposite parent whose visitation with their child will be severely affected. Certainly, if a child is relocated over 50 miles away from the time-sharing parent, that parent’s visitation simply must change to accommodate travel and for the child’s wellbeing. The legislature found that many parents were fighting over this issue and as a result children were being moved without agreement or Court order, causing damage to parental relationships with the child and excessive litigation. Let’s face it, even a parent who has minimal parenting time with their child will usually balk at the thought of their child moving out of state and not seeing their child for months at a time, or being relegated to seeing their child during the summer and holidays because the child will live so distant as to make weekly or monthly visitation geographically impossible. This is an emotional issue, but as in all issues wherein children of separated or divorced parents are involved, parents should be relieved to know that there is a specific Florida Statute which establishes the procedures that parents must follow if they wish to relocate their child’s residence more than 50 miles from their principal residence. That Statute is Florida Statute 61.13001. Florida Statute 61.13001 applies to any parent that is subject to a custody order, parenting plan or a Court order which establishes visitation with the child; or to any parent presently in an action filed to establish a parenting plan. This law provides a procedure the parents can follow that gives all parties protection and opportunity to be heard by the Court on the issue of parental relocation with the child. The Statute provides for relocation by agreement of the parties OR if the parties cannot agree, it provides for the filing of a Petition with the Court to relocate the child and further provides for an expedited hearing process to get that issue before the Court in an expedited manner. Please understand that short of addressing which parent will have majority time-sharing with a child, the decision to allow or not allow parental relocation is one of the hardest issues that a Court can face between parents. Child custody issues are complex. Don’t go at it alone. Parental relocation is not something that you should attempt to handle on your own. A qualified family law attorney will explain the factors the Court will use in making a decision and your attorney will navigate through the complex procedures for you in an attempt to obtain your desired result. 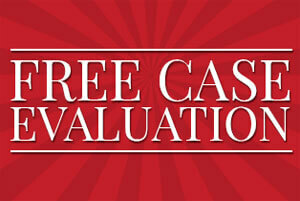 Call Morgan & Barbary today for your FREE telephone consultation at 321-951-3400. For your information, section (2) of the Statute provides the procedure that you should follow if you and the other parent agree to the relocation of the child. Basically, it provides that the parties sign a written agreement which reflects their consent to relocate, defines a time-sharing schedule for the non-relocating parent, and addresses any transportation issues related to time-sharing. The agreement would then be filed with the Court and the parties seek ratification of the agreement by Court order (without the necessity of a hearing unless specifically requested by one of the parties within 10 days after the date the agreement is filed with the Court). If no hearing time is requested, the Court will adopt the agreement without further hearing. If the parents cannot agree on the issue of relocation, Section 3 of Florida Statute 61.13001 provides for the filing of a Petition to Relocate which must be signed under oath by the Petitioning party and must be served on the other parent (and any other person entitled to time-sharing with the child) and must contain: (1) a description of the intended new residence including state, city and specific physical address if known; (2) a mailing address of the new address if different from the physical address; (3) the home telephone number of the new address if known; (4) the date of the intended move or proposed relocation; (5) a detailed statement of the specific reasons for the proposed relocation including any written job offers; (6) a proposed post-relocation time-sharing schedule for the non-relocating parent; and (7) a statement in capital letters advising the Respondent that an objection to the Petition must be made in writing and filed with the Court 20 days from service or the relocation will be allowed. Response time matters in child relocation cases. If you are a parent that has been served with a relocation action, time is of the essence in filing your objection to the relocation with the Court. If you fail to timely object to the Petition, your objection is deemed waived, and the other parent may be allowed relocate the minor child. Call Morgan & Barbary today for your FREE telephone consultation to discuss your options: 321-951-3400. If a parent files an objection within the required time frame, the parent seeking relocation is entitled to a hearing on the issue within 30 days, if they have filed a Motion for temporary relocation. This is exactly why it is so important for you to have counsel, whether you are a parent seeking to relocate or a parent objecting to the relocation. During this short period of time your attorney will be meeting with you and discussing the case and preparing for the temporary hearing. Even if you are a parent that understands the economic circumstances of the other parent and you are tentatively willing to agree to the relocation, your time-sharing rights are still going to be severely impacted in addition to the added expense of transportation for time-sharing. A new time-sharing arrangement will need to be negotiated that addresses your concerns. If a parent relocates a child without following the procedure, and the case falls within the Relocation Statute, then the Court may Order the child returned to the county or take this issue into consideration in making a final determination related to the relocation of the child [see FS 61.13001(3)(c)]. Even if the Court allows the child to be relocated at the temporary hearing, the case will still continue to a Final Hearing (also known as a “trial”) and the objecting parent may still seek the return of the child. The temporary hearing is an abbreviated hearing of a short period of time, usually 1 to 5 hours but can be longer depending on the Court. The Final Hearing may take days and you will have opportunity to present many witnesses in support of your case to relocate or in objection to it. Even if you are a parent seeking to relocate and the Court does not allow you to relocate on a temporary basis, you may still obtain the Court’s permission at Final Hearing where the Court has more time to hear all the issues in depth. Get advice before taking action. Please know that this is a difficult and highly litigated issue which is fraught with emotion, and decisions will affect both parents’ relationship with their child for many years. We advise that before you take any action you call us for a FREE telephone consultation at 321-951-3400. Your future and the future of your child depend on making the right decision — and that decision starts with knowing your rights as a parent. The lawyers of Morgan & Barbary have handled many relocation issues and we stand ready to assist you in this difficult battle. Feel free to call us for a free telephone consultation today.